This trip was very successful commercially and critically. Our group did a Delaware River excursion in Phillipsburg, plus both the Lehigh Valley and CNJ out of Jim Thorpe. We concluded the trip in Scranton, riding the Electric City Trolley to the ballpark, which is under construction. Delaware River Scenic Railway in Phillipsburg, N.J., “behind steam.” In addition, we will make a second stop in Phillipsburg at the Union Station for its open house events held at the station under construction. 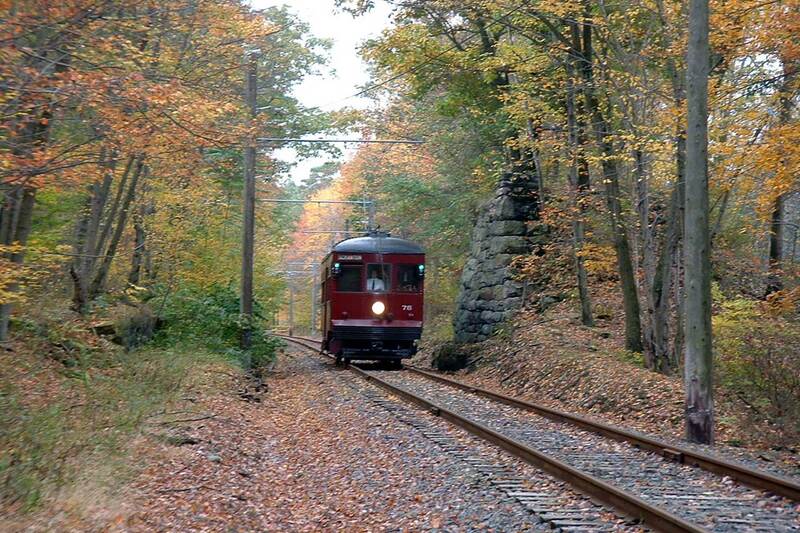 Lehigh Gorge Scenic Railway in Jim Thorpe, Pa., through the picturesque Lehigh Gorge along the Lehigh River. Electric City Trolley Museum in Scranton, Pa., over the electrified Laurel Line Interurban. We will also visit Steamtown National Historical Park for the exhibits only, as no excursions are running on Monday, the day of our visit. Our inclusive Sunday night trip banquet is at Alaska Pete’s Steakhouse in Marshalls Creek, Pa. Alcoholic beverages are on your own. Accommodations are at the Days Inn in East Stroudsburg, Pa. Deluxe continental breakfast is included. October 6th pick up is at 8:30 am on Eighth Avenue between West 40th and 41st Streets in front of the New York Times building. We will return at the same location on October 8 at 7:30 pm. The ticket price for the trip is $395 double occupancy, $460 single occupancy. Price includes roundtrip transportation on a chartered motorcoach, accommodations, trip banquet, and all excursion and exhibit tickets. A deposit of $100 per person with reservation is due by August 17. The balance is required by September 07. There will be no refunds after October 03. For more informaton, email Steve Kalka at trip@nyrre.org.